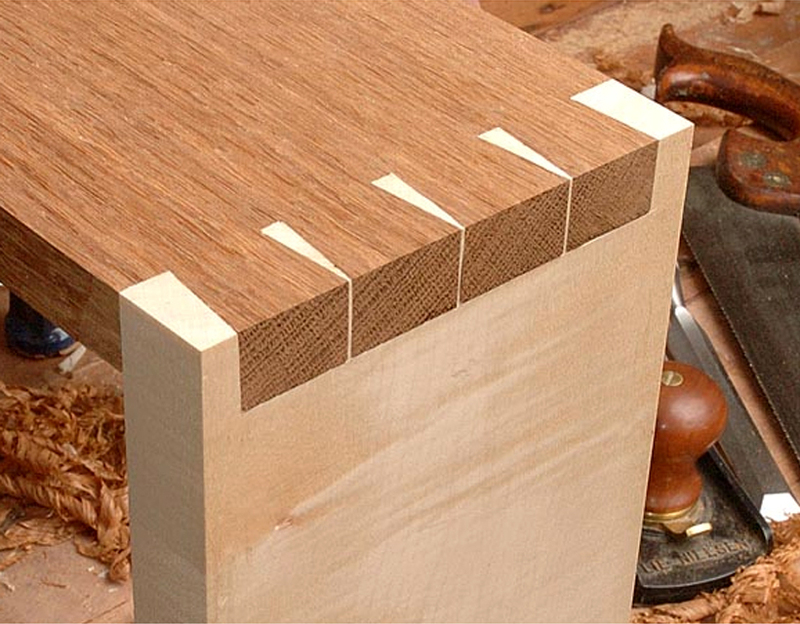 Learn the Art of Hand Cut Dovetails! BONUS: We will also try to introduce router cut dovetails as a special treat during the second evening of class! Tue+Wed Apr 2+3, 630p-930p SOLD OUT! Call us at 267-331-5880 or email us to be notified first once more dates are scheduled. Class Description: Few joints in woodworking offer the strength and beauty of a hand-cut dovetails. Learn how to lay out, cut and fit this time honored joint- the hallmark of true craftsmanship — with confidence and ease. In this 6 hour class, under our guidance and using high end hand tools, you will de-mystify this intimidating joint and learn how to harness its strength and beauty for your future projects! We will also teach you some power tool techniques to utilize to speed up the process without compromising your results. We additionally teach dovetail joinery as private lessons. Private instruction is only $80/hour for one-on-one sessions. If interested, call us anytime to discuss. (267) 331-5880.